Setting up an event with multiple options and prices is a great way to meet the various needs of your guests. However, it can be a complex process and configuring the event incorrectly could create some issues such as a wrong attendance number. 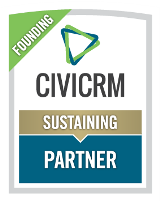 Your organization has a solid membership base, but you want to retain members and help it grow, so how can CiviCRM help you do that? Our customer service leaps forward! 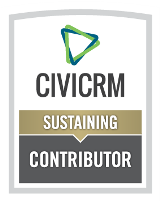 CiviDiscount is an extension maintained by the CiviCRM Core Team outside of the CiviCRM Core. It can be used on any install of CiviCRM and with very little effort, you can offer discounts for events and memberships. Is your CiviCRM database personalized to your organization's needs, or are you continuing to use the default fields in CiviCRM? Make the most of your database and learn how to gather and store custom data in CiviCRM in order to improve communication with your constituents and better accomplish the goals of your non-profit. Are you using CiviEvent and want to allow your event participants to register multiple guests but have had trouble with duplicates being created or overwriting contact records after choosing this option when configuring on-line registration?